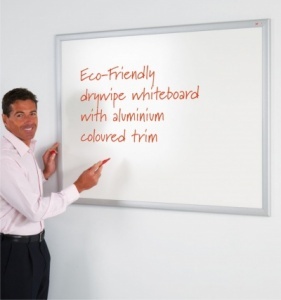 Available in 6 standard sizes our Eco-Friendly Wood Framed non magnetic drywipe whiteboards are almost entirely constructed from timber industry bi-products, and recycled materials. They features an attractive contoured 35mm wide wood effect frame which is available in a choice of 4 colour finishes. 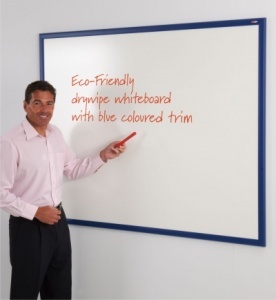 These whiteboards can be mounted either landscape or portrait and come complete with wall fixing kits.